SAN FRANCISCO (AP) _ If you’re planning on buying the new Apple Watch, don’t expect to walk into a store and leave with one next week. Apple, which began accepting advance orders for the watch last week, had previously said it would be “available” for sale in stores on April 24, at least for customers who made reservations to come in for a personal demonstration. But with supplies limited, Apple’s retail chief has told store workers that the watch will continue to be sold only through online orders for at least the next several weeks. That’s a departure from the way the way Apple has launched other new products, such as its popular iPhones, which have been offered for sale in stores to customers who often arrived hours early and lined up outside before the first day of a new release. But Apple has adopted a new strategy for the watch, which Apple executive Angela Ahrendts described this week as “not just a new product but an entirely new category for us.” Apple stores have had watches on display since last week, and the company is offering in-person demonstrations for customers who want to try different models. Ahrendts wrote in a memo to workers this week that, “due to high global interest, combined with our initial supply, we are only taking orders online right now. I’ll have more updates as we get closer to in-store availability, but we expect this to continue through the month of May.” The memo was first obtained by the tech blog 9to5Mac and its authenticity was verified by The Associated Press. 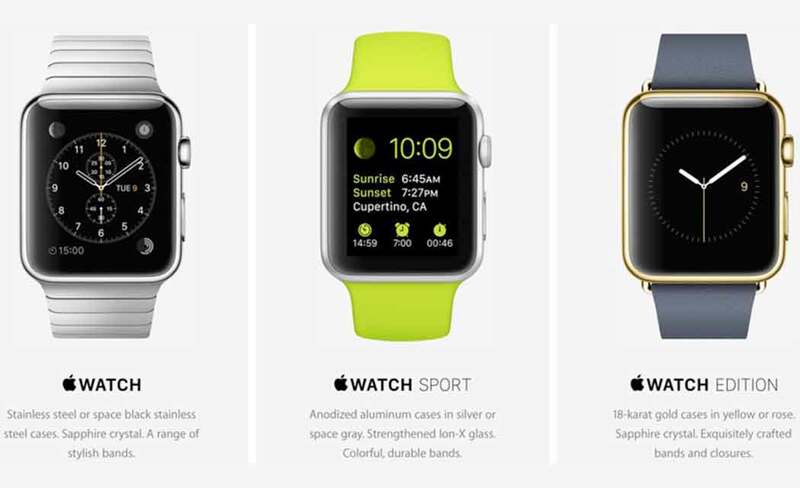 Apple has not said how many watches have been ordered to date. The market research firm Slice Intelligence estimated nearly 1 million people placed orders on April 10, the first day Apple began accepting them. Apple says customers who placed early orders will have their watches delivered starting Friday. Watches ordered in recent days may take several weeks to arrive. Ahrendts said the company can fill orders more quickly online.